In 1970 Yiannis Karimalis got a death sentence. Doctors in Pennsylvania diagnosed the Greek immigrant with abdominal cancer and told him he’d be dead within a year. He was not yet 40 years old. Devastated, Karimalis left his job as a bridge painter and returned to his native island of Ikaria. At least there he could be buried among his relatives, he thought—and for a lot less money than in the United States. Thirty-nine years later, Karimalis is still alive and telling his amazing story to anyone who will listen. And when he returned to the States on a recent visit, he discovered he had outlived all the doctors who had predicted his death. On Ikaria, a mountainous, 99-square-mile island, residents tell this story to illustrate something they’ve known all their lives: on average, Ikarians outlive just about everyone else in the world. For three weeks in April, I led a scientific expedition to Ikaria to investigate the reasons for the islanders’ remarkable longevity. It was part of my research into the earth’s few Blue Zones: places where an extraordinarily high proportion of natives live past 90. What’s more, Ikarians suffer 20 percent fewer cases of cancer than do Americans and have about half our rate of heart disease and one-ninth our rate of diabetes. Most astonishing of all: among the islanders over 90 whom the team studied — about one-third of Ikaria’s population who are 90 and older — there was virtually no Alzheimer’s disease or other dementia. In the United States more than 40 percent of people over 90 suffer some form of this devastating ailment. Maintain a Mediterranean diet: Around the world, people who most faithfully stick to a so-called Mediterranean diet — a regimen high in whole grains, fruits, vegetables, olive oil, and fish — outlive people who don’t by about six years. The Ikarian version features more potatoes than grains (because they grew better in the mountains) and more meat than fish (because the sea was a day’s journey away). 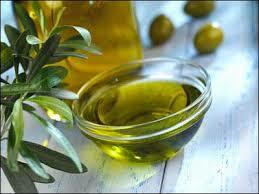 Open the olive oil: Ikaria’s consumption of olive oil is among the world’s highest. Residents drizzle antioxidant-rich extra-virgin oil over food after cooking, which preserves healthful properties in the oil that heat destroys. Bake bread: The island’s sourdough bread is high in complex carbohydrates and may improve glucose metabolism and stave off diabetes. Grow your own garden (or find farmers’ markets): Fruits and vegetables eaten soon after picking are higher in compounds that decrease the risk of cancer and heart disease. Graze on greens: More than 150 varieties of wild greens grow on Ikaria. Some have more than ten times the level of antioxidants in red wine. Sip herbal teas: Steeping wild mint, chamomile, or other herbs in hot water is a lifelong, daily ritual. Many teas lower blood pressure, which decreases the risk of heart disease and dementia.